Holistic dental wellness is a state in which the mouth and the rest of our being are in balance and harmony. Our mission is to offer our patients a truly holistic dental experience. We promise to put the health of our patients above all else. We also believe that human health is inextricably interconnected with the health of the planet. We promise to be environmentally responsible and socially conscious in maintaining the healthiest dental practice in all of Los Angeles. Our new office has recently undergone a major transformation. 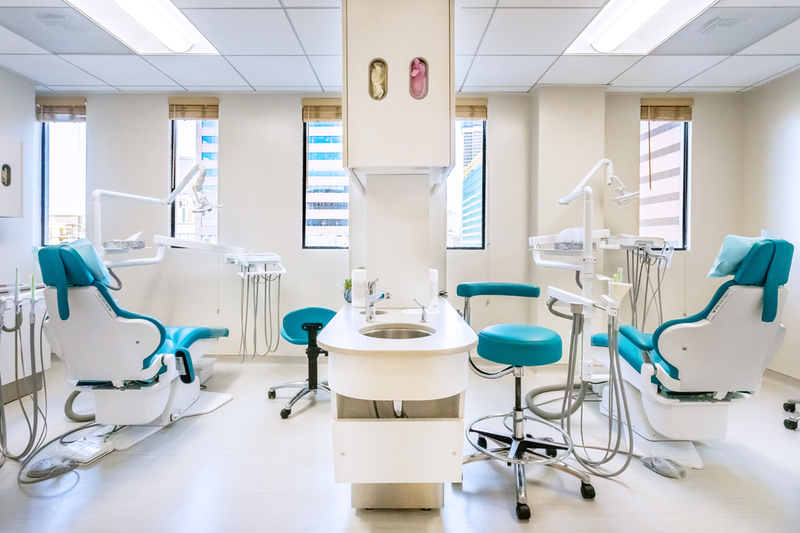 We are proud to bring you our brand new, state of the art, beautifully designed and environmentally responsible dental office in DOWNTOWN Los Angeles. You can count on the same trusted integrative holistic dental healthcare from the Dental Healing team. Only now, our services are offered with the healthiest, smartest, and most environmentally responsible dental facility in all of Los Angeles. Dr. Chester Yokoyama and the staff including Brenda, Michelle, Heather and Leah, look forward to your visit at our new Green office!